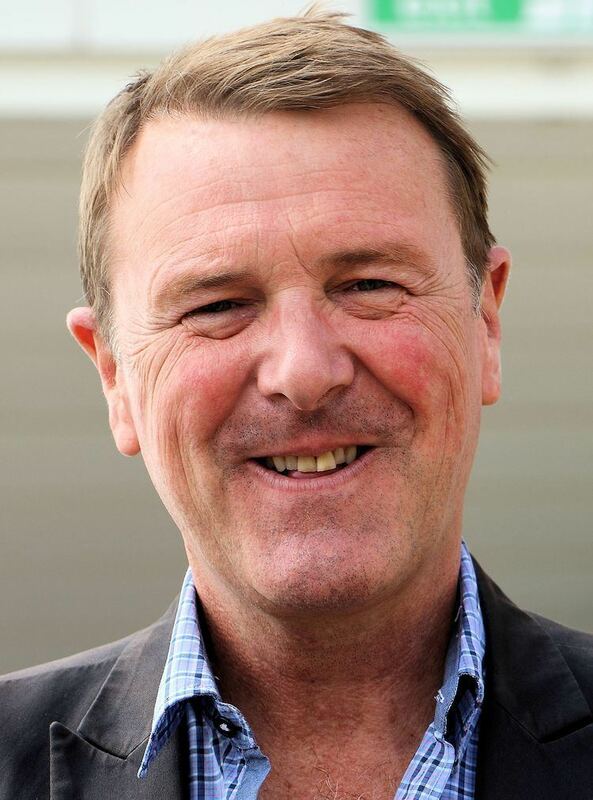 Philip Clive Roderick "Phil" Tufnell (born 29 April 1966) is a former English Test and ODI cricketer turned television personality. A slow left-arm orthodox spin bowler, he played 42 Tests and 20 One Day International matches for England, as well as playing for Middlesex from 1986 to 2002. With 121 Test wickets, Tufnell is, as of 2015, 37th in the list of most wickets by an England bowler and his average of 37.68 is considered high for a genuine bowler; however, Tufnell took over 1,000 wickets across all first-class cricket, and his personality, trademark behaviour and "great control of flight" when playing made him a popular sports personality. Following his retirement in 2002, Tufnell has built on his popularity with several television appearances, including They Think It's All Over, A Question of Sport, Strictly Come Dancing., and winning I'm a Celebrity...Get Me Out of Here! in 2003. Tufnell was educated at Highgate School where his cricketing prowess was recognised and he was appointed captain of the Junior School's First XI despite the fact he was not yet in the top year. On leaving Highgate, he attended and played cricket for Southgate School. He then trained in quantity surveying and was faced with the tough decision of whether to play cricket professionally or to work as a quantity surveyor. He chose to do the former. 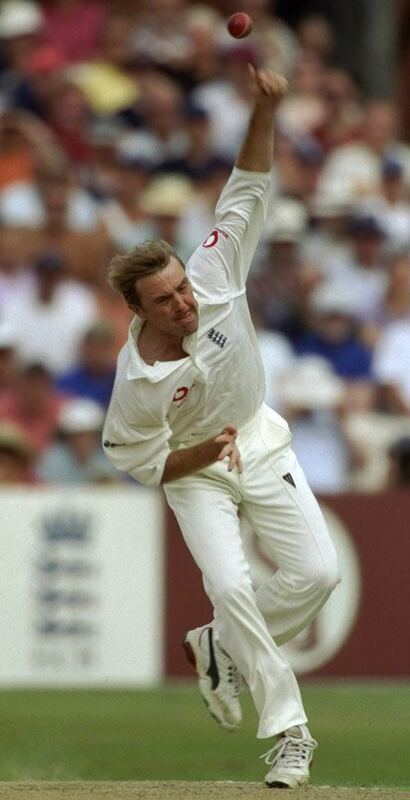 As a slow left-arm orthodox spin bowler, Tufnell played 42 Test matches and 20 One Day Internationals for England between 1990 and 2001, and 316 first-class matches, mainly for Middlesex. Tufnell was occasionally inspired with the ball, taking 11–93 against Australia at the Oval in 1997 (for which he won the Man of the Match award after England won by 19 runs) and seven wickets in the match (6-25 in the first innings) against the West Indies at the Oval in 1991, but he took his 121 Test wickets with a bowling average of 37.68 across his whole Test career. Mark Waugh theorised that "if you attack him, he can go on the defensive, and it puts him off his game", although Waugh was Tufnell's most frequent test victim, being dismissed a total of seven times by him, three of them bowled. According to Michael Parkinson, a British talk show host, "at the age of nine he was opening the bowling and the batting for his club's junior team". Parkinson also believes that his "ordinary fielding made him a luxury in the view of the ... (English cricket) management (circa August 1996)". However, Tufnell's fielding did improve during his career. He was nicknamed "The Cat" due to his propensity to be found sleeping in the dressing room. 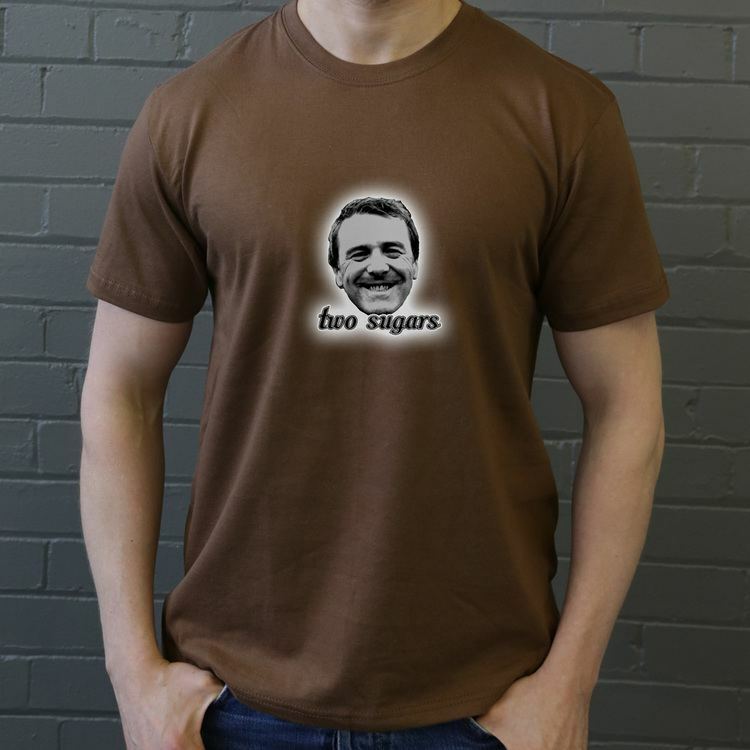 He also acquired the nickname "Two Sugars" due to his well-known love of tea. According to England teammate Mike Atherton, Tufnell smoked more than occasionally. During his career spanning over a decade with Middlesex, Tufnell took more than 1,000 first class wickets in the English game. His autobiography What Now ? ISBN 0-00-218816-3 was published in 1999. Tufnell also received an honorary doctorate from Middlesex University on 20 July 2011 in recognition of his achievements in sport and the media. Since 2003, Tufnell makes appearances as a summariser on BBC Radio's Test Match Special. 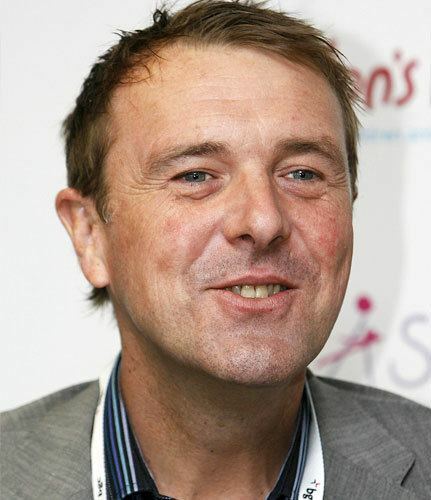 He has also hosted The Phil Tufnell Cricket Show and Tuffers and Vaughan Cricket Show on BBC Radio 5. Tufnell retired from professional cricket before the 2003 season in order to participate in the second series of the reality television show I'm a Celebrity... Get Me Out of Here! which he won. Prior to this, he had appeared on Lily Savage's Blankety Blank. He was a team captain on sports quiz show They Think It's All Over until 2005. In 2004, he made two guest appearances on British soap opera Family Affairs and co-presented the ITV game show Simply the Best with Kirsty Gallacher. Tufnell is a team captain on the BBC One panel show A Question of Sport. He also makes regular appearances as a reporter on the BBC One magazine show The One Show. On 12 April 2008, Tufnell and his wife Dawn appeared on the ITV game show All Star Mr & Mrs.
On 4 October and 1 November 2008, Tufnell appeared on the game show Hole in the Wall. In 2009, Tufnell competed in the seventh series of the BBC's Strictly Come Dancing, partnering professional dancer Katya Virshilas. The couple were eliminated in the ninth week. On 7 October 2011, he appeared on the BBC One panel show Would I Lie To You?, where he claimed to have recurring dreams in which he is a potato, being chased by a pitchfork. 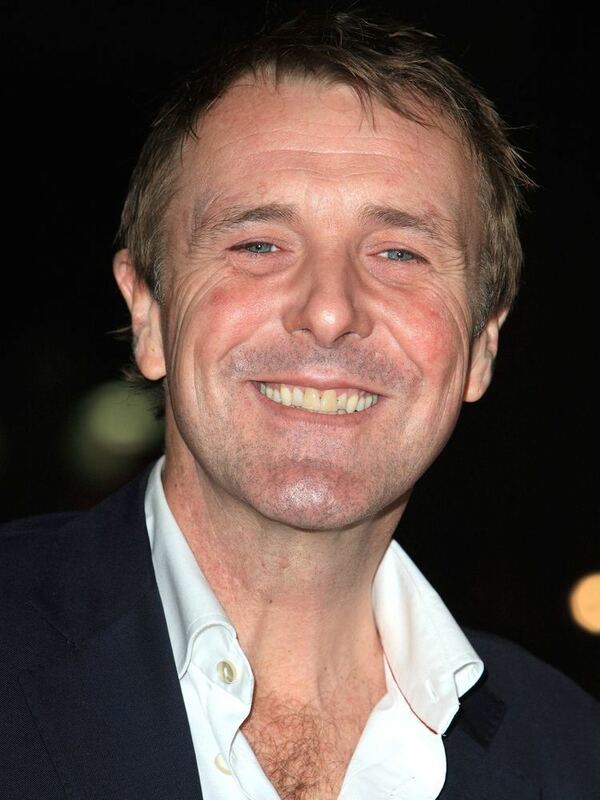 On 19 November 2011, Tufnell appeared on a celebrity edition of ITV quiz show The Chase. In 2012, he co-presented The Flowerpot Gang with Anneka Rice and Joe Swift. During the week of 12 to 16 May 2014, Tufnell appeared on the daytime Channel 4 game show Draw It! On 1 February 2015, Tufnell competed in Get Your Act Together on ITV and The Jump on Channel 4. Tufnell co-authored a humorous book, Phil Tufnell's' A To Z of Cricket with cricket journalist Adam Hathaway. Tufnell's first marriage to Alison Squires ended in 1989. He has two daughters: Ellie with ex-girlfriend Jane McElvoy, and Poppy with ex-wife Lisa Bar. Tufnell's personal life hit the headlines in 1994 when he was fined £800 after admitting assaulting his former girlfriend McElvoy, after she ended their relationship. Tufnell's colourful lifestyle continued to periodically feature in the tabloid press. In 1997, while on a tour of New Zealand, reports emerged that he left a toilet cubicle trailing the scent of cannabis but this time he was exonerated. During divorce proceedings, Bar produced court documents accusing Tufnell of causing her to endure 'anxiety, stress and an eating disorder'. She also claimed he had continually harassed her and abused her. He is now married to Dawn and has a step daughter, Alana. Tufnell is the president of a cricket charity– Cricket for Change. He is also a Vice-President of UK children's charity the Children's Trust, Tadworth. Tufnell is a fan of Arsenal.